Stir with ice and strain into a chilled coupe. Garnish with two griottine [or Luxardo maraschino] cherries on a pick. By Jamie Boudreau, Food + Wine Magazine, 2008. 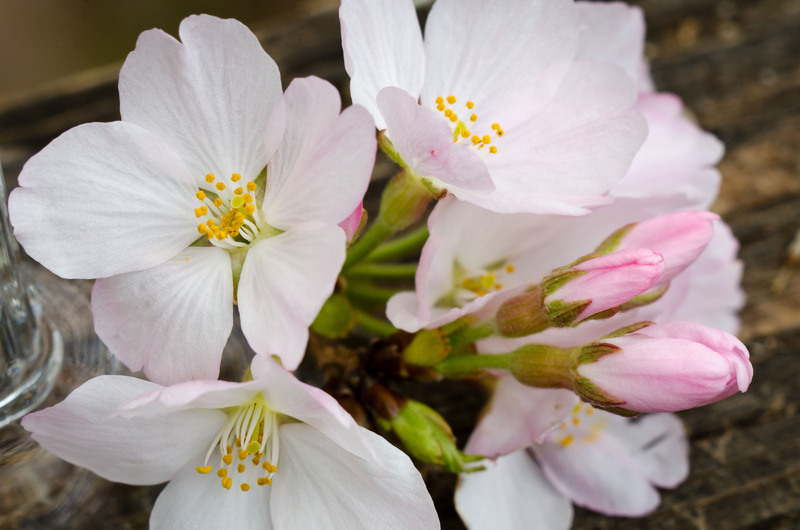 The Cherry Blossom is an exquisite little drink: it smells of cherry brandy, tastes of maple-y whiskey, cherries, and wood, and has a perfectly-balanced sweetness that is just kept in check by the alcohol and bitters. The cherry eau de vie is present on the nose and holds the middle ground, mingling very well with the spice of the rye, while the cacao emphasizes the chocolate notes of the whiskey on the finish. 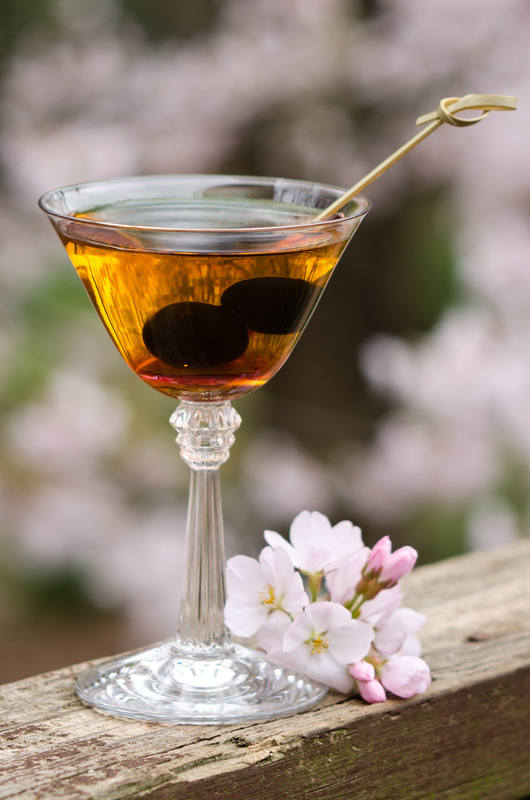 Plus, the Cherry Blossom is rather dainty in terms of volume — you’ll be able to use those antique cocktail glasses you’ve been stockpiling, and having two as an apéritif won’t put you under the patio table. Structure-wise, the C.B. basically follows Jamie Boudreau’s classic “Golden Ratio” formula, though it swaps out a fortified wine for eau de vie. I thought the rye would overpower the remainder of the ingredients, but no — it’s perfect! Rye provides just the right amount of “cut,” as I call it: an alcoholic edge backed up by a beefy flavor profile. I also tried the Cherry Blossom with cognac [Camus V.S.O.P.] and ended up a tad disappointed — the two brandies dominate the drink, completely covering up the cacao and bitters and resulting in an overly sweet, one-dimensional cocktail. A mellower rye, like Sazerac or Russell’s Reserve, is what you’re after — Rittenhouse and High West would likely prove too powerful. 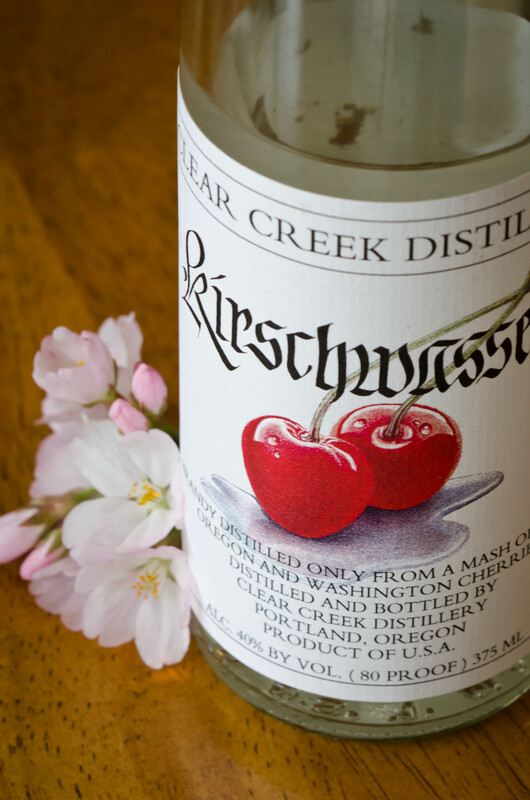 Kirschwasser, for those not in the know, is a clear brandy made from cherries. Kirsch does not “taste like cherries” in the way some cherry liqueurs do: instead, it hints of them…strongly, via a funky wallop of dry, spicy, aromatic flavor. Most eaux de vie and unaged brandies (like Pisco) contain this kind of taste — fruit intensified by fermentation and distillation — and it’s evident if you try a pisco or grappa next to a cognac or armagnac: same fruit, same flavor, but different ages and modifications. On its own, kirsch makes a nice apéritif or digestif. If you look for it, try Clear Creek, from Oregon, or Aqua Perfecta from California. Anyway, if you’re going to mix up Boudreau’s Cherry Blossom, act fast: the peak bloom date will be here and gone before you know it, and Georgia will be well on its way toward summer. This entry was posted on April 3, 2013 by IJ Lauer in Angostura, Creme de Cacao, Drink Recipe, Kirsch, Rye, Spirit Information, Whiskey and tagged angostura, cherry blossom, cocktail, creme de cacao, jamie boudreau, kirschwasser, recipe, rye.